As a Virtual Assistant, I have a flexible lifestyle and work around the kids, illness or whatever life throws at me. Like all home-based though, it’s not all hugs and puppies. I’m going to tell you everything you’ll need to know if you’re thinking of becoming a Virtual Assistant so you can nail your first client quicker than me and make fewer mistakes, and as someone with three years home-based Virtual Assistant experience behind them, I’ve made quite a few! 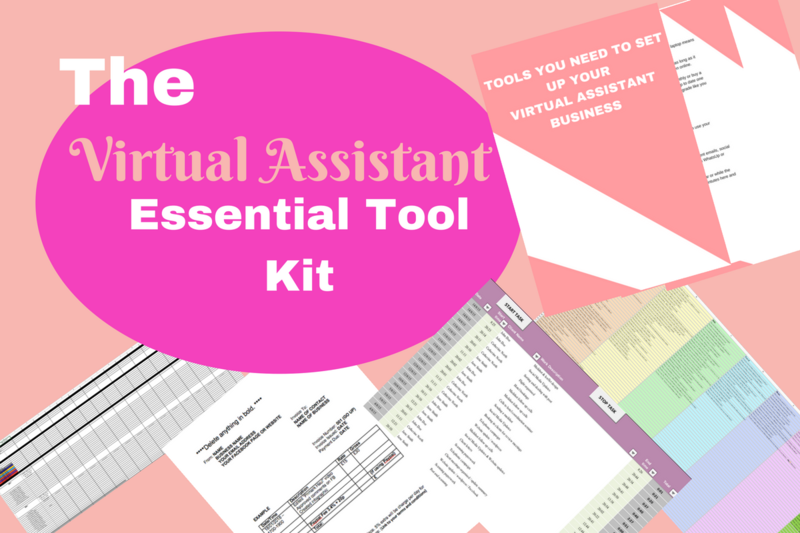 Get organised with The Virtual Assistant Essential Tool Kit. At the very beginning, you need to do your research. Read everything you can about what it’s like to be a Virtual Assistant. Decide how you want to work, when, and what services you would like to offer. Every Virtual Assistant has different skills so you need to come up with yours first. Are you good at making marketing materials look good? Are you quick on social media and know your way around? Are spreadsheets your thing? It’s important that you go into becoming a Virtual Assistant with your eyes wide open. you have to know how many hours you want to work and stick to it, or before you know it, it will skyfall and you’ll end up working all hours and be unhappy. Can You Afford To Be a Virtual Assistant? Even though there isn’t any outlay, it takes time to invoice your clients and wait for them to pay you. Every Virtual Assistant charges different and it will depend on your skill set. Some charge per hour (like me) and that can start from £10 anything up to £100. Most start at £10 and up their rates as they go through clients and more experience. You need to work out how much you need vs hours you can work and find a point that is going to work for you. Some Virtual Assistants do charge per project, so that may be a better bet if the work is going to be long-term or on just one project. Remember to keep track of everything. Expenses, hours worked and what you did, as when it comes to invoicing at the end of the month, there is no way you are going to remember everything you did or when you worked. Once you start taking money, you must register with HMRC to tell them that you are working from home or, if you decide to set up as a limited company, then making sure you are VAT registered. If you really think you have no experience at all, then think again! As a home-based Virtual Assistant, you can do anything, from the comfort of your own home and in front of the TV. Whatever your experience, there will be something you can offer someone, you just need to market it in the right way. Here are 101 no experience needed home based jobs to help you decide. Getting your first client can be hard, especially if you don’t come from a digital background but by no way impossible. Start by adding your details to your LinkedIn account and talk to as many people as possible. share your profile or website if you’ve made one. Look at sites like People Per Hour*, elance and Fiverr*. They are a race to the bottom but they will start you off with some contacts to help you get a feel of what it’s like to work from home as a Virtual Assistant. Take the plunge and start pitching for work as well. Join blogging groups and ask if anyone is looking for a Virtual Assistant. You can always say that the first 5 to sign up will get your services for £10 an hour if they leave a review after a month. then up it and say the next 5 will be at £13, then £15. The worst that can happen is that it takes you a while to build up your client list and you may have to take on another home based part time job while you build your Virtual Assistant business up. Remember there are millions of businesses in the world that will hire you, it’s just down to you finding them. As an industry that changes all the time, it’s really important to stay up to date on any changes that happen online or within your niche. You can do this by learning yourself or by taking an online course. Keeping your skills up to date and varied is really important and highlighting you’re up to date skill set could be what makes a client pick you other another. I’d be lying if I said that being a Virtual Assistant was easy, it’s not. I work every single evening from 7 pm to however long it takes to get the work done. It’s totally worth it though, as it means that I’m at home with the kids all the time, so if anything happens I can drop a client if I need to and be there for the family. It’s a given that you are going to have one or two quiet months, so use my FREE 15+ printables to help keep more money in your pocket. 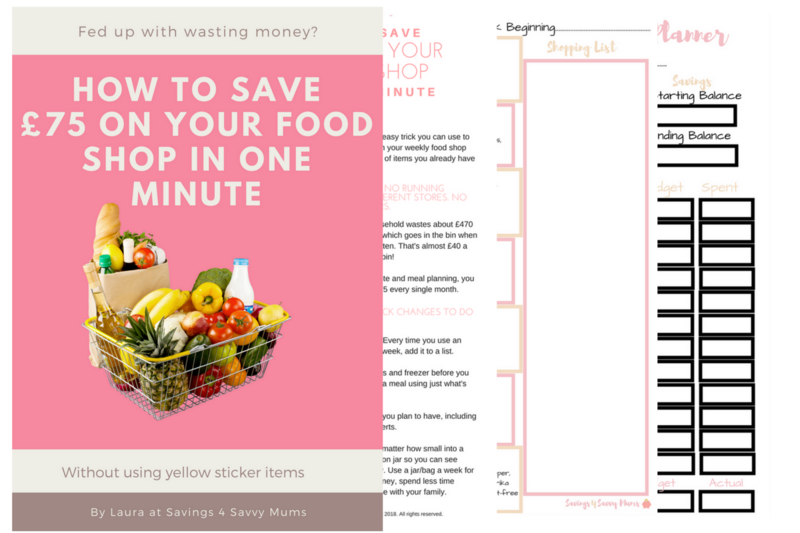 This includes budget shopping lists, meal plans and my ‘How to Save £75 Off Your Food Shop In One Minute’ printable you can download straight away. I really hope this post has helped you. Please do get in touch and let me know how you are getting on. Such a useful post Laura. I’d have loved this a few years ago!! This is a very interesting article Laura. However I think it is also a little misleading as there is no mention of the legal requirements of becoming a VA. 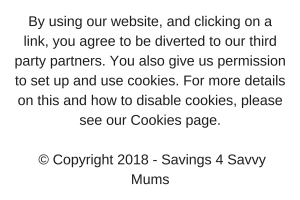 It is essential you are properly insured, comply with GDPR, have contracts in place to protect yourself and your clients as well as complying with AML if you are going to be offering bookkeeping. Being a VA is a great option but please make sure you set up your business correctly. Thanks for you comment Sarah. I agree about making sure that everyone does their research first before jumping into becoming a VA. It is a very wide role and depending on what you want to do, does depend on how deep down the rabbit hole you should go.